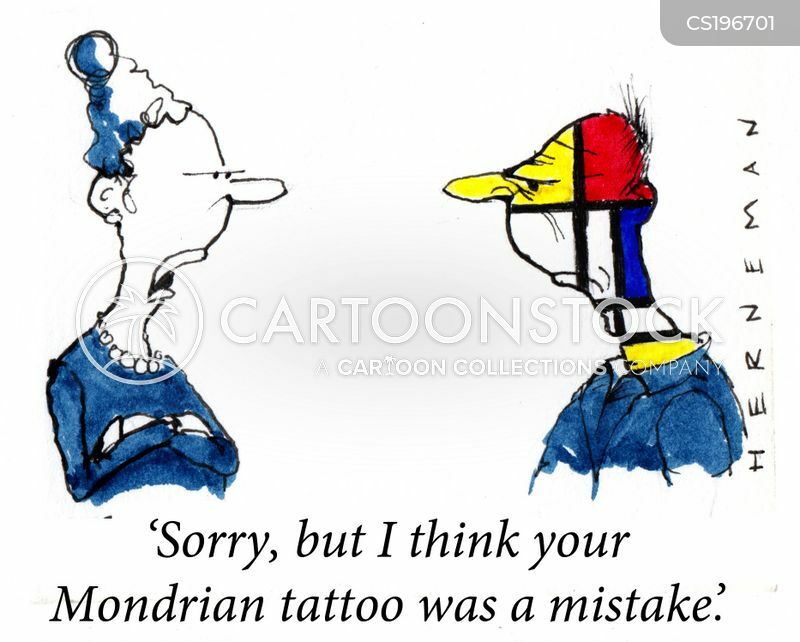 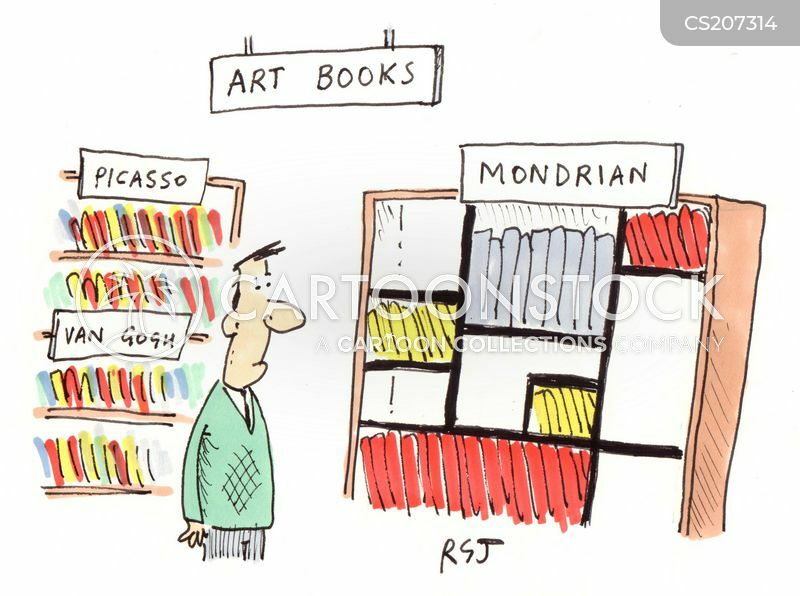 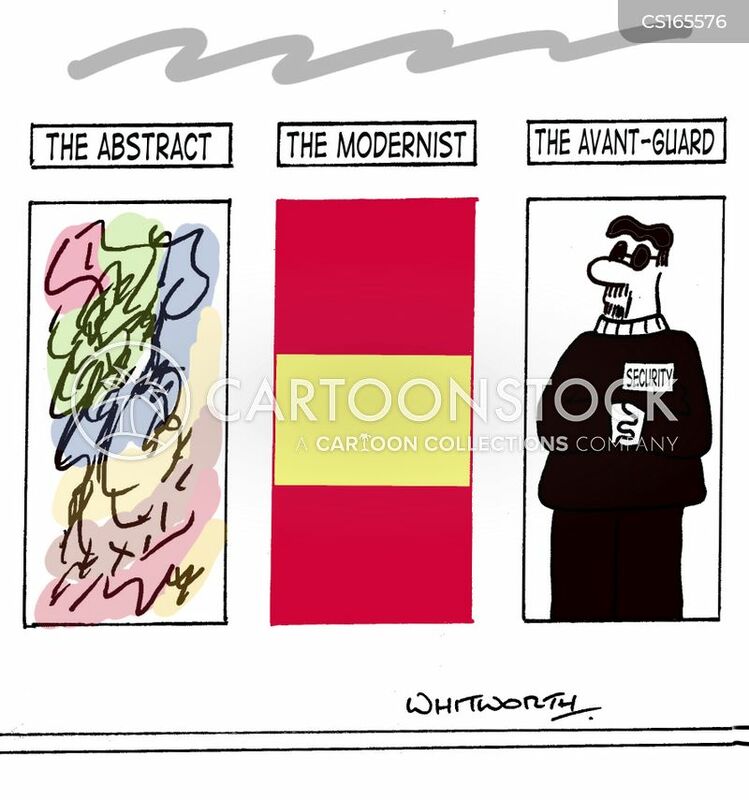 Mondrian art books arranged in the style of his paintings. 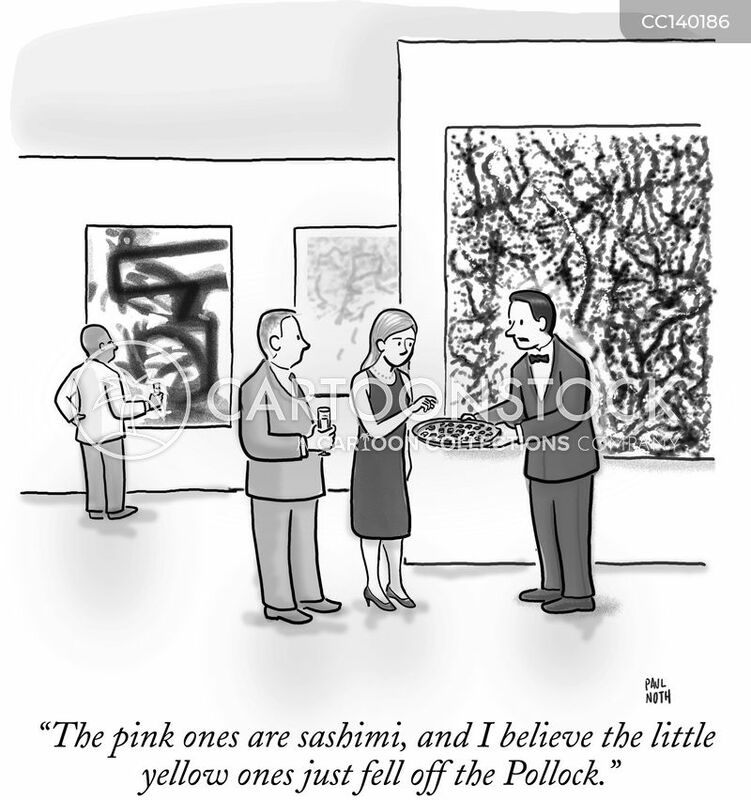 "The pink ones are sashimi, and I believe the little yellow ones just fell off the Pollock." 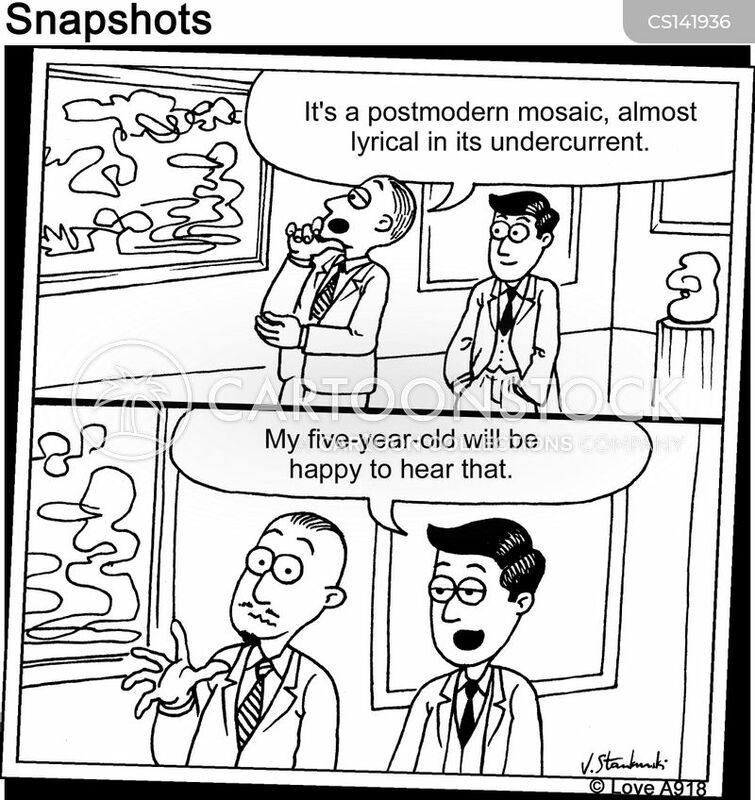 "It's a postmodern mosaic, almost lyrical in its undercurrent." 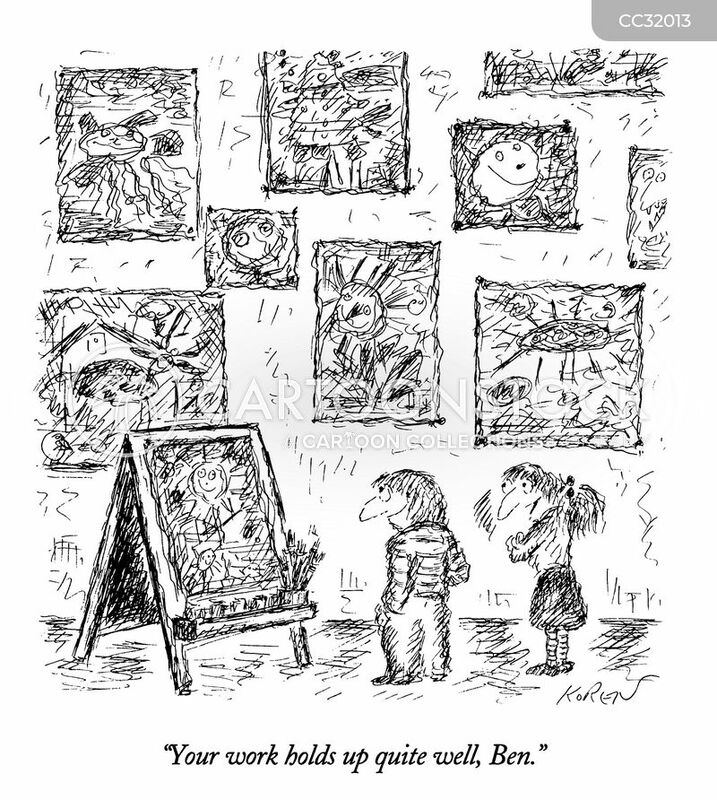 "My five-year-old will be happy to hear that." 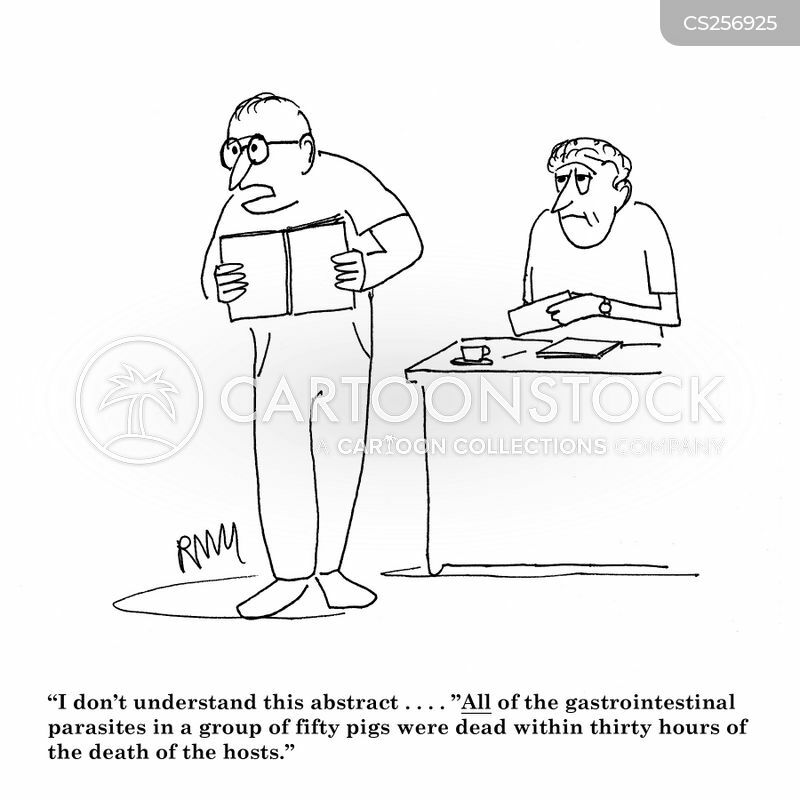 I don't understand this abstract...All of the gastrointestinal parasites were dead within 30 hours. 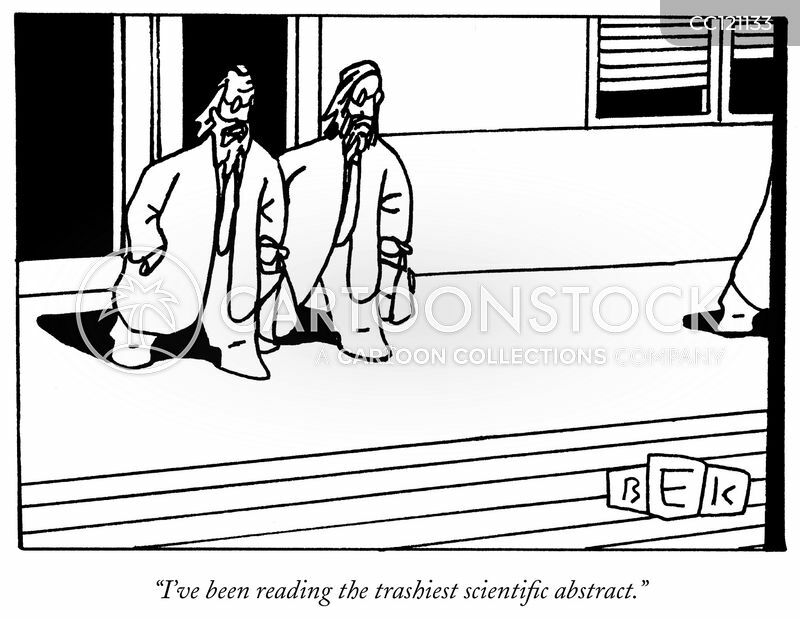 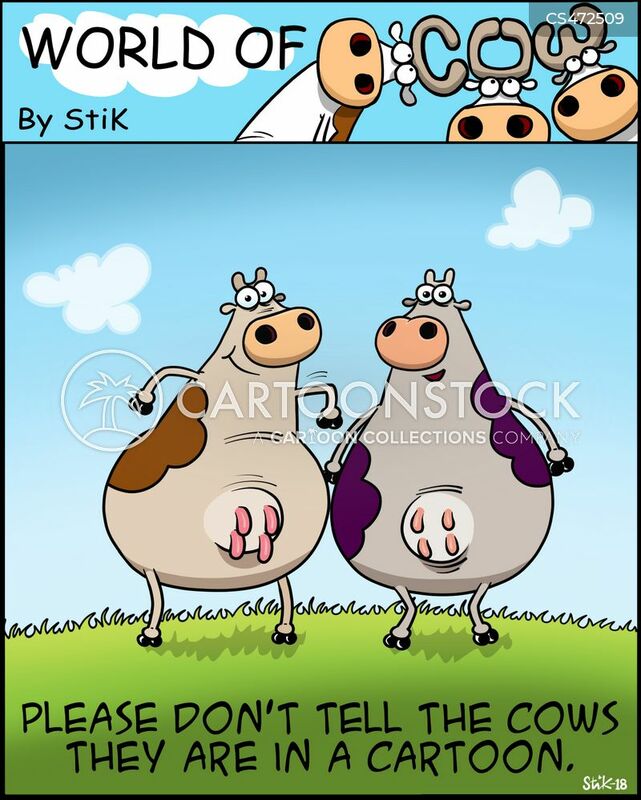 Please don't tell the cows they are in a cartoon.